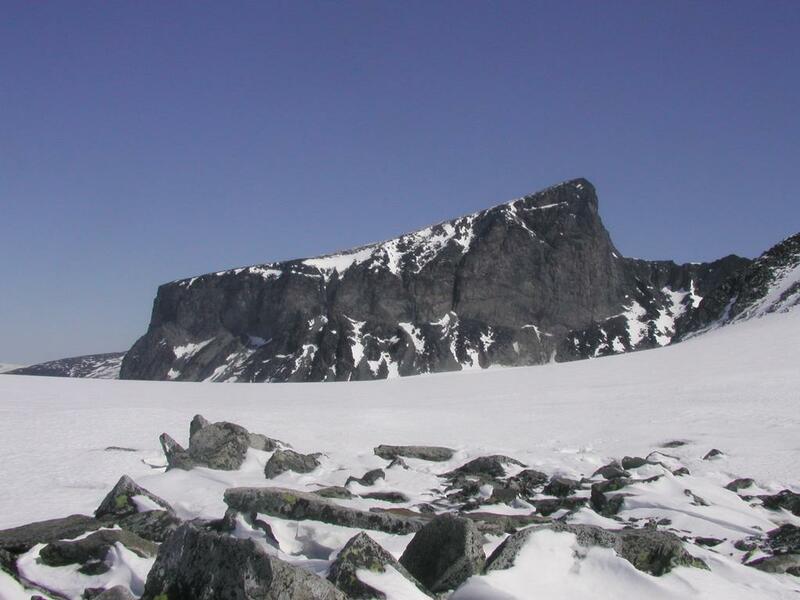 How to get there: This summit can be approached from the huts Juvasshytta or Spiterstulen. There are also alternate approaches, see our route below. Route description: We started from our camp at Illåbandet at approximately 2100 m. For a route description to this point, see the description under Storgjuvtinden (2144 m). From our camp, we skied across Storgjuvbreen to the distinct break between Vesle Galdhøpiggen and the 100 meter higher Galdhøpiggen (Norway's highest mountain). There is a passage up here called Porten (the gate). 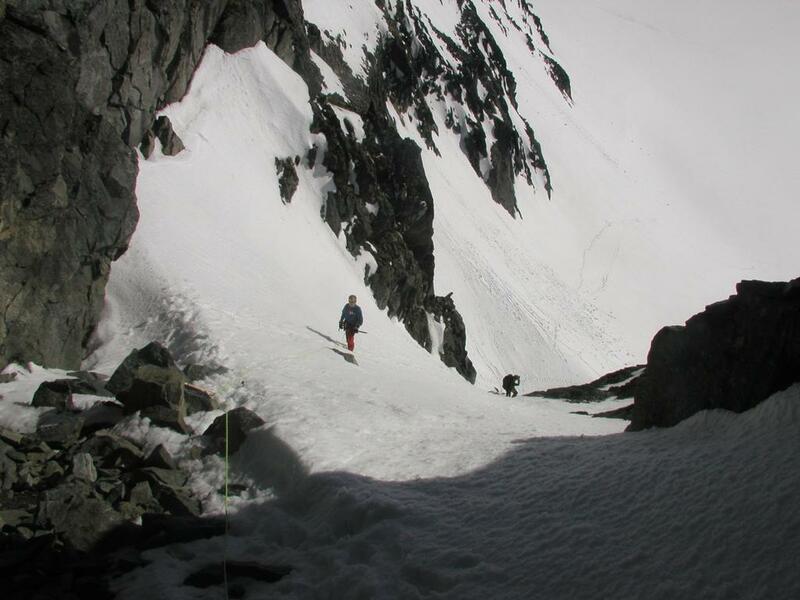 This route is a steep snow gully that gains the Styggebreen on the other side of the two mountains. From the top of Porten we continued along the east side of Vesle Galdhøpiggen on the upper part of Styggebreen. Gaining elevation on the glacier we located a point just about 4 meters below the cliff. At this point a small horizontal traverse followed by a steep, but short snow climb brought us up on the very gentle north slope of the summit. On descending, we considered following the ridge all the way down to the saddle between Vesle Galdhøpiggen and Galdhøi, however the ridge gets steeper and had a lot of snow when we were there. Thus, we returned the same route as the ascent. Later in the summer, the ridge route may be the easier way. This route has YDS difficulty of class 3 (Porten), with a short (depending on conditions) class 4 pitch to gain the final summit area. This route involves glacier crossings, parties should be properly equipped and trained, there may be substantial crevasse danger depending on the time of year. 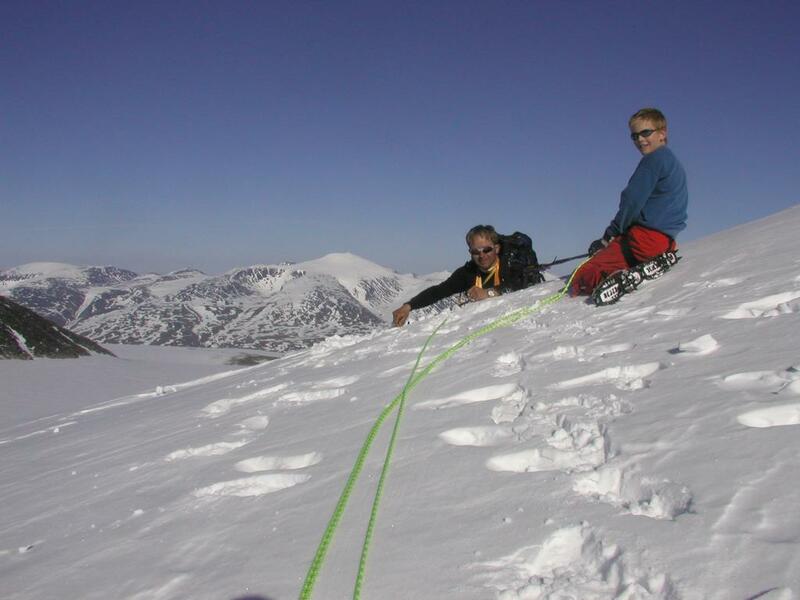 Comments: I did this climb with my son Pål Jørgen, age 13, and my friend Arnt Flatmo. We had fantastic weather and a superb view from the summit. Vesle Galdhøpiggen, as seen from our camp on Illåbandet. Porten, the only passage from Storgjuvbreen to Styggebreen. Arnt on steep snow, Pål Jørgen providing moral support. 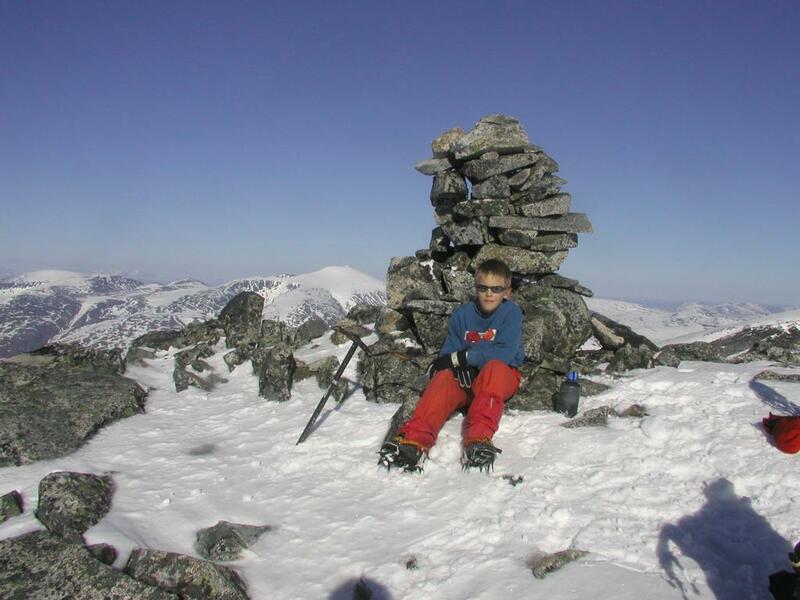 Pål Jørgen on the summit of Vesle Galdhøpiggen. 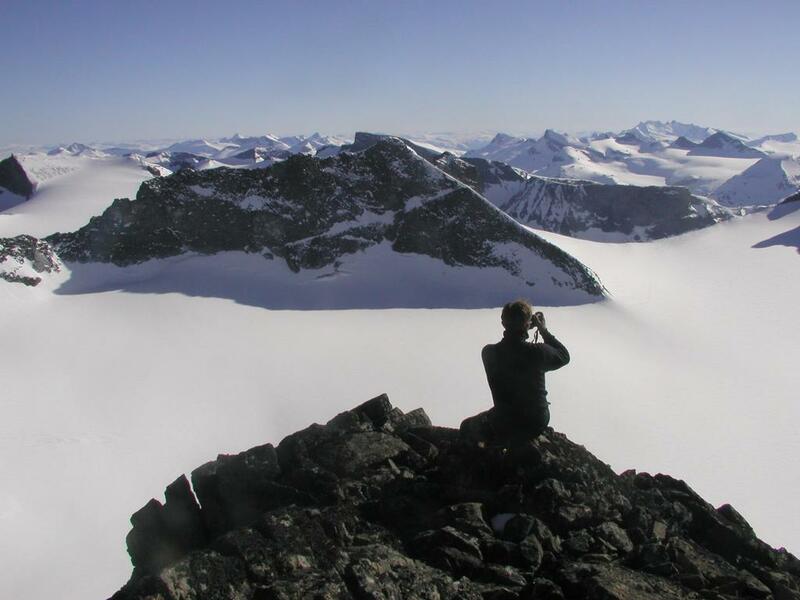 Arnt, captures the views from Vesle Galdhøpiggen; Storgjuvtinden (2344), Bukkehøi (2314), Hurrungene in the far distance.